Effective leadership and management are among the important factors that determine proper functioning and success of an organization. An effective leader applies leadership style and principals depending on the situation at hand. In most cases when there is a crisis in the organization a leader turns to informal leadership rather than formal leadership. With informal leadership, the leader has no formal title or position, but they respond to the situation at hand by setting direction, providing commitment, and building community (Jackson & Parry, 2008). There are different reasons that result into informal leadership in an organization. The different cases of informal leadership are backed by the different sources and bases of power. When the organization is faced with challenging situations, some employees are forced to assume a leadership role even if they are not in a formal leadership position, in order to solve the problem. My own experience can be used to explain why informal leadership arises in an organization. I experienced this kind of leadership when working as a senior sales manager and recruiter at Sun Life Financial Inc in Montreal Canada. This is an International financial company that is located in thirteen countries around the world and listed in three stock exchanges and has over 4500 employee in Canada with a mission to help Canadians achieve life time financial security. The company was in the growth phase to recruit commission based financial advisors. The Canadian government and many giant companies are cutting down on expenses and laying off many employees; Sun Life Financial company was targeting those unemployed people to help them establish a career and to help the economy to heal faster from financial crisis. The challenge faced by the company was how to attract those people to the commission based carrier because many people have a negative thinking about being paid through commission. The company invested heavily in order to create awareness for such an opportunity in the Canadian market. I am employed in this company as a senior sales manager and recruiter, but I am forced to perform other roles to help the company overcome the challenge. I manage over 40 investment professionals and $250 million worth of investments. I am involved in recruiting, selecting and screening new financial advisors. To add on, I train, coach and manage them. I also train and help senior advisors to grow their business; for example, coaching them to penetrate the high net worth business market with advanced concepts and products. Brooks (2009) identifies the different sources and bases of power that enable the leader to take the direction he wants in his leadership to solve the crisis at hand. Power is describes as the capacity one has to influence the behavior of other people, so that they do things that they would not otherwise have done. Therefore, power is the medium through which conflicts of interest are resolved in an organization (Brooks 2009). The bases of power are the means to exert influence, they include; control of budgets, control of rewards, persuasion, rules and procedures, physical presence or threat, and charisma. To influence the unemployed people to take up a financial advisor position which is a commission based career, I adopted the bases of power that were applicable to the situation; I used charisma, persuasion, rules and procedures. With my personal qualities in sales, the recruited employees were attracted, influenced, and inspired to take over the position. When carrying out the training and coaching to the new financial advisors, I ensured that I am dressed smartly and talk with confidence. I explained to them the benefits I had received out of this career that outweighs those of salary-based career, this motivated them to take over the jobs with much determination and desire to start up as soon as possible. Exploiting the power of rules and procedures, I ensured that in the process of selecting and recruiting, proper procedure is followed and the best qualified candidates are recruited. The recruited were given the rules to follow when approaching the potential customers and how to close the business. Basing on distributed or dispersed leadership perspective, I would have adopted the control of rewards as a base of power to influence the newly recruited financial advisors in the company. This perspective describes that leadership like power and like information, can be moved between people at different levels of the organizational or society hierarchy. Jackson and Parry (2008), explains that with distributed leadership there is Super Leadership where the emphasis is on “leading others to lead themselves”, or at least to demonstrate more leadership them-selves; and Self Leadership. Self-leaders act on their own through self-discipline and self-behavior-modification. They are high on the attributes of self-awareness and self-consciousness. 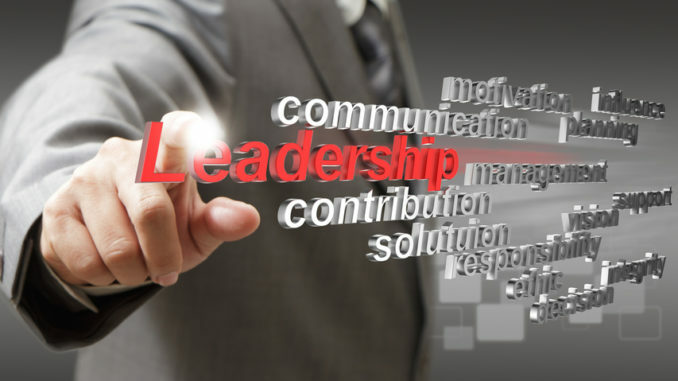 Therefore, the concepts of super leadership and self leadership are associated with effective leadership manifestation. Working as a financial advisor requires individuals that are self-disciplined and who can lead themselves since their roles are less monitored, but high performance is required. When employees can be able to lead themselves, possess attributes of self-awareness and self-consciousness, then, their performance will be rated highly (Drucker 1977). To influence the workers to see the commission-based career as an attractive one, as their leader I will adopt control rewards. The employees who perform highly will receive higher rewards; this will show that they are utilizing well their time and resources. Employees who would have performed poorly will be motivated to improve their performance so that they can receive higher rewards. Jackson and Parry (2008), explains that individuals with self-awareness have knowledge of self, including the knowledge of one’s interest, aptitudes and limitations including leadership ability, logically. Jackson and Parry (2008) argue that credible leaders develop capacity in others, and have the capacity to turn their constituents or followers into leaders, in future I will ensure that the company advertises publicly for these positions specifying the required qualifications and skills. When training and coaching these recruited employees, the emphasis will be on liberating them in order to enable them with abilities to lead themselves and others while performing their duties. Brooks, I., 2009, “Organizational behavior: individuals, groups and organization”. 4th ed Pearson: UK. Harlow.